I remember as a child that my grandparents said Star Wars was evil and that the “Force” was witchcraft. It’s ironic that 30 years later I’ve come to recognize the similarities between being a Christian and being a Jedi. Luke: Ben! Why didn't you tell me? You told me that Darth Vader betrayed and murdered my father. Obi-Wan: Your father... was seduced by the Dark Side of the Force. He ceased to be Anakin Skywalker and "became" Darth Vader. When that happened, the good man who was your father was destroyed. So what I told you was true... from a certain point of view. Obi-Wan: Luke, you're going to find that many of the truths we cling to depend greatly on our own point of view. Truth. Absolute Truth. In my Philosophy 101 class Professor Willard Reed spent what had to be, an abnormal amount of time talking about absolute truth. I say abnormal, because in another setting, a secular university for example, I don’t think he would have needed as much time to get his message across. Dr. Reed never came out a said “There is no such thing as absolute truth” and I suppose that’s because the statement itself is absolute. Ol’ Willard took us down mental rabbit trails, cognitive figure eights, and all types of mental machinations trying to drive home the point that what we often call absolute truth is in fact, completely subjective. Many freshman ladies were pushed to the point of tears over his insistence that they could not prove that their mothers loved them, as an absolute truth. You see, we were, most of us at least, a new crop of green evangelical clones. Harvested primarily from the Midwest or the Bible belt, grown in the soil of conservative evangelical thought, watered with Biblical inerrancy, fertilized with pastoral authority, and treated with the pesticide of absolute truth. We knew that there was absolute truth because we had been taught the truth since before we could walk. Moses wrote the first five books of the Bible, Adam and Eve were real people, Noah built an arc, Joshua fought the battle of Jericho, David slew Goliath, Jesus was born of a virgin, Jesus is God, Zacheus was a wee little man and wee little man was he, and most importantly, no one goes to heaven without Jesus. These were Absolute Truth’s and what someone else believed or didn’t believe about them did not change the Truth. Many people left Dr. Reeds class unchanged. They never questioned the existence of absolute truth, nor that they knew exactly what that truth was. By outward appearances I was one of those that left philosophy 101 unchanged. I never doubted my convictions and as my progress toward a degree in Biblical Studies continued I became an unwavering apologist for conservative viewpoints. I was determined not to become one of the liberal minded Christians that populate much of academia. To Willard Reeds credit, something had stuck. The critical thinking he had taught took hold, and a few years later I began to look at things differently. I recognized that questions could be approached from different angles and opposing viewpoints were often insightful and sometimes rang more true than my own. It took many years and the process was slow, but step by step, small awakenings took place. In order for the Truth I was taught as a child to remain true required a particular point of view. These truths were not objective but rather, highly subjective. The authority of the Bible, I realized, had to be accepted completely and viewed as more authoritative than any proof or argument man or science could offer. That the archeological record does not support the existence of a united kingdom, but does show that Jericho had been destroyed and abandoned long before Joshua arrived on the scene to shout at its walls, does not matter. In a faceoff between the biblical narrative and verifiable history, I would have to reject observable evidence and accept by faith a version of events unsupported by fact. I have come to a place where I no longer believe the truth I was taught as a child. I can’t really call it a decision, I simply realized one day that I no longer believed. Presented with overwhelming evidence that the Bible is not accurate, contradicts itself, and presents a rather grotesque picture of god, I simply arrived at a place where my point of view no longer allowed for the acceptance of those subjective truths. I arrived at this place in my early 30’s, married and with children. I still attend church with my wife. She knows where I am, but perhaps not the full extent of my de-conversion. I believe that a public and full disclosure would eventually lead to divorce and that is a road I do not want to take my children down. Some would call it a lie, or living un-authentically and I would agree on many levels. However, it is a path I choose to walk because I believe the damage of a broken home would be greater than the damage of raising my kids in church. And divorced, my children would still be in church but without my influence to balance the scales. I have taken steps to ensure they are not exposed to the most militant version of conservative Christianity but I know there will need to be deprograming in the years to come. My six year old son loves to read and gets excited when he finds a new book that peaks his interest. Last night it was the Bible. We don’t normally read the bible as a family or before bedtime but he asked his mom to read him a story. This is not something I encourage but nor do I think it something I should be concerned over. My son is an all or nothing type of kid and at the end he said “I’m going to read this entire Bible and then all the other Bibles too”. My wife explained to him that this was the only Bible, there were just different versions. Later I asked my wife if she had any issues with lying to her son. She said that she had not lied. “I believe the truth and the Bible is the word of God, the other books aren’t the Bible.” Because she lives with me, she knows there are other Bibles, not just other versions. She is aware that there are bibles with more or less books and some that removed selected passages. However, from a certain point of view, her point of view, she was not lying to her son. If I go to Amazon.com to look for a bible I’m presented with options including, the Holy Bible, the Catholic Bible, the Ethiopic Bible and if I look long enough the Jehovah’s Witness Bible. Even though thousands of people around the world call them Bibles and read them as the Bible, her point of view does not allow for that fact to be true. If my wife and I were born in Ethiopia, she might have had the same conversation with my son. The only difference would have been the book she was holding. 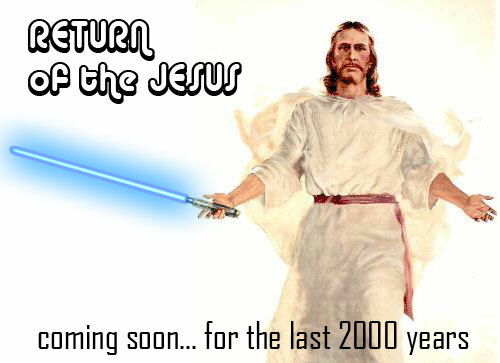 Given the option, I think a Light Saber would be cooler than a Bible.